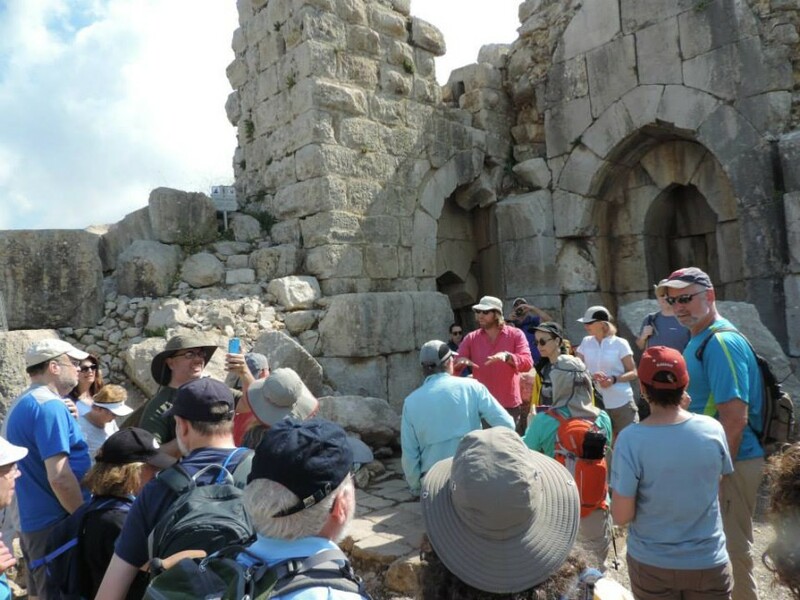 Atop the Nimrod fortress, all the hikers began the day with a panoramic view of the upper Galilee, the border with Lebanon, and the Hermon range. We toured the fortress, learning about its strategic importance being situated between Damascus and Siddon and Tyre. The whole group then began a long and challenging descent from the fortress to the Banias. We passed beautiful wildflowers as we picked our way around rocks and boulders on a narrow goat path. Before we finished our descent to the Banias, our guide, Avsha, explained the geopolitical importance of water in the region. Our hike finished in the beautiful Banias reserve where we visited old flour mills, walked alongside rushing rivers and wrapped up the day at the magnificent Banias falls.